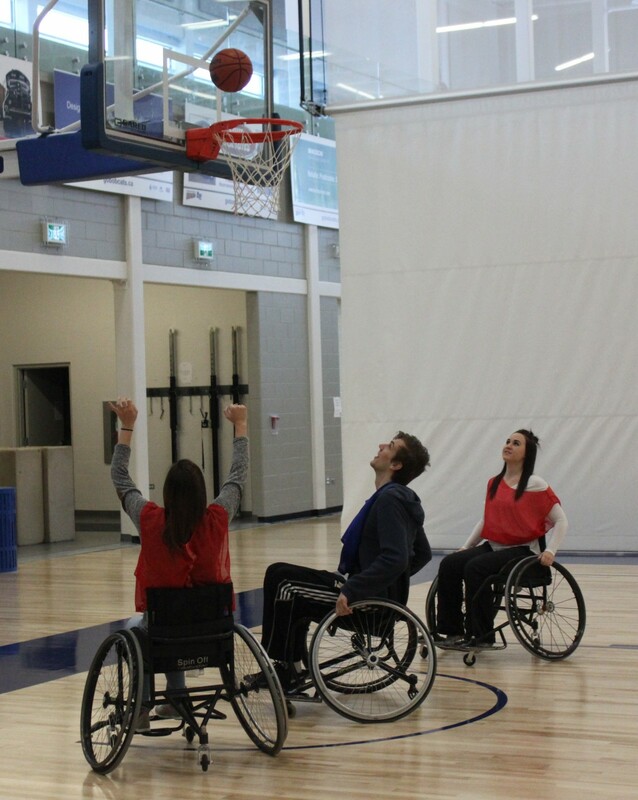 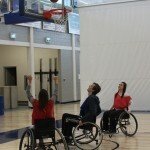 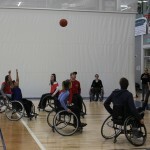 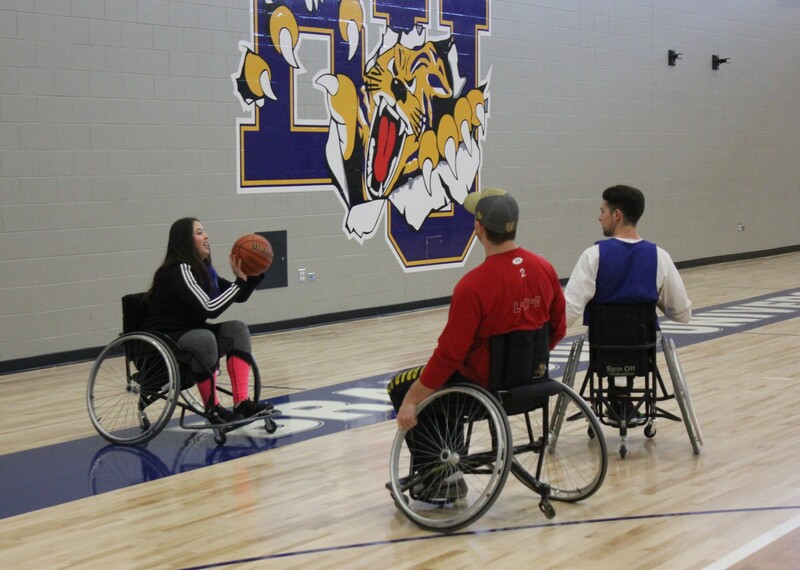 Students in the Introduction to Adapted Physical Activity class got a lesson in wheelchair basketball from the Manitoba Wheelchair Sport Association on Thursday. 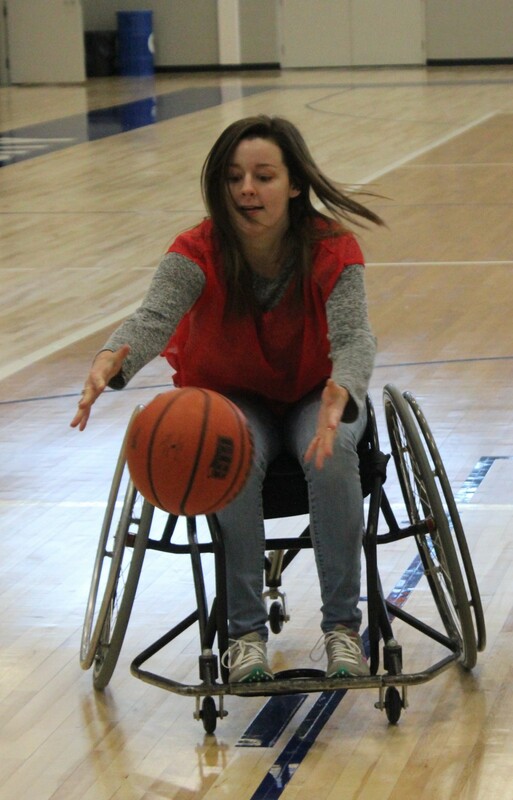 BRANDON, Man. 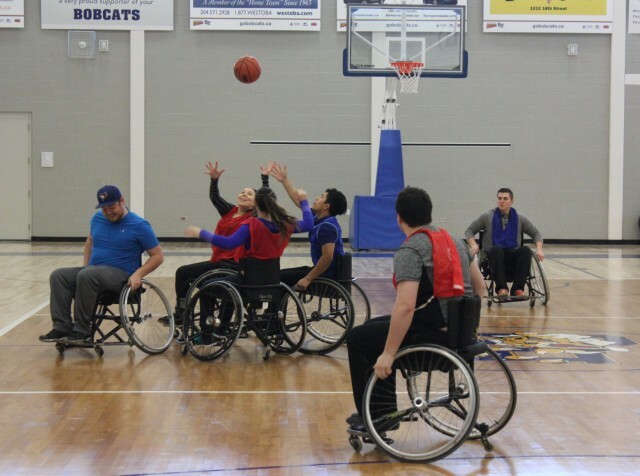 – It was a whole new ball game for Brandon University (BU) students in the Introduction to Adapted Physical Activity (APA) on Thursday as they welcomed representatives from the Manitoba Wheelchair Sport Association (MWSA). 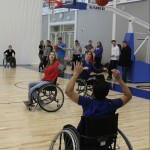 Students in the APA class, part of the Physical Education program, learn about delivering programs for persons with a disability. 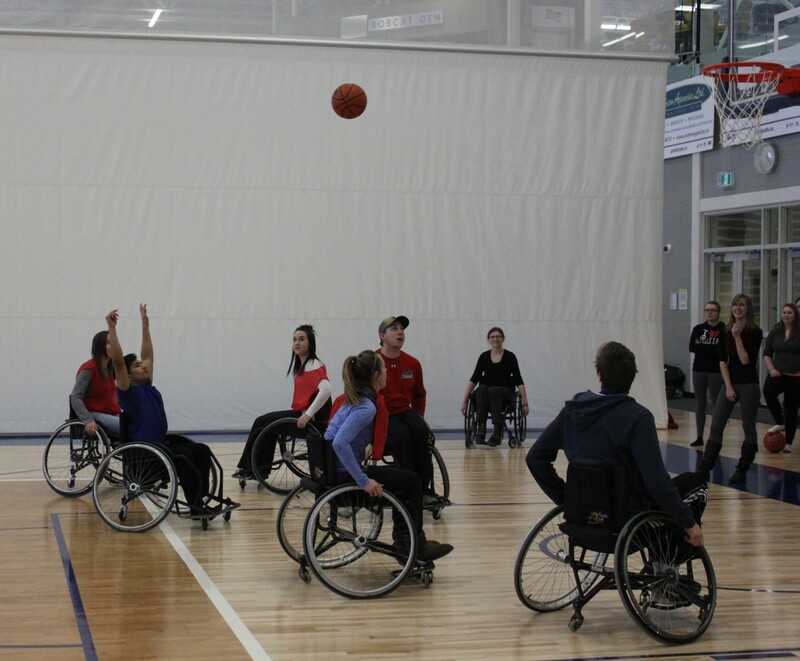 On Thursday, they got hands-on experience playing wheelchair basketball during the MWSA’s visit to the Healthy Living Centre (HLC). 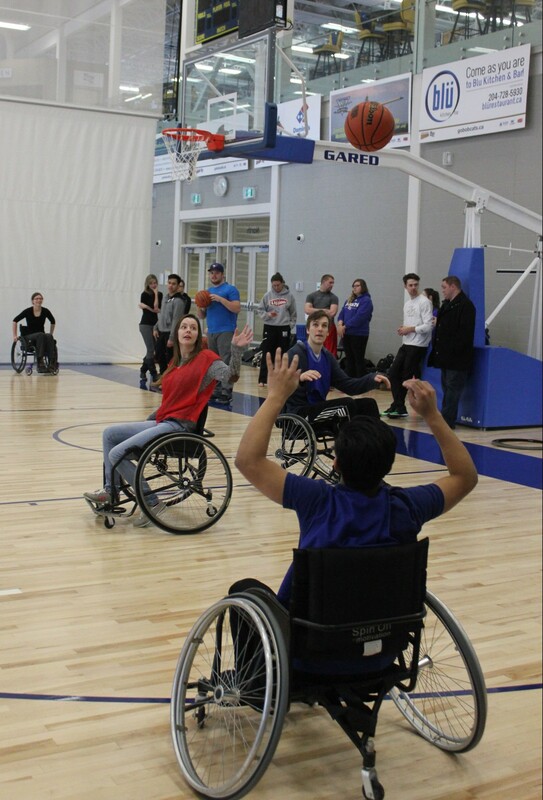 On Saturday, the MWSA will return to BU to host a public event at the Henry Champ Gymnasium from 3 to 6 p.m. 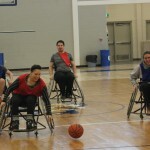 Anyone interested is invited to try wheelchair basketball, and MWSA Executive Director Cameron Bell said even those who don’t normally require a wheelchair can enjoy the sport. 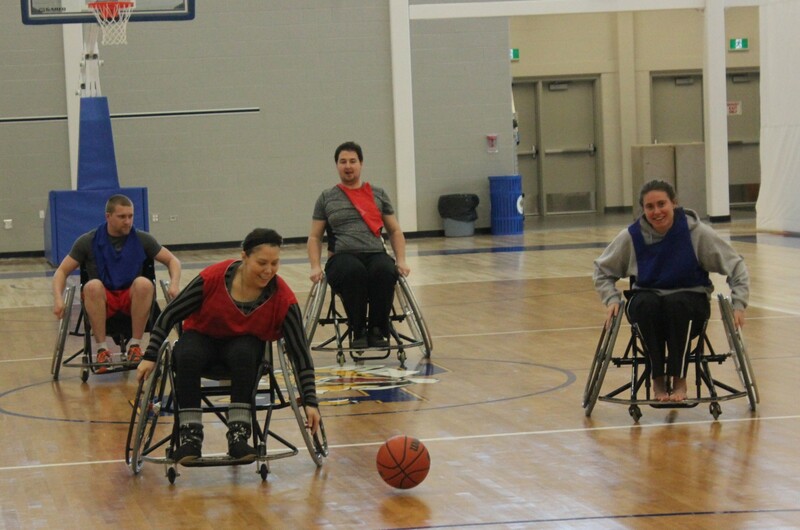 As part of an effort to promote wheelchair sports in Westman, the MWSA has chosen to hold its major prairie wheelchair rugby tournament at the HLC. 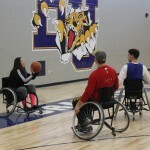 The event will take place from May 13 to 15, featuring teams from Manitoba, Saskatchewan and Alberta. 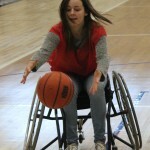 Wheelchair rugby, like wheelchair basketball, is an official Paralympic sport.